This spectacular 60,000 sqft space in Middletown, NY about 50 miles north of Manhattan, is perfect for large events, commercial photo and film shoots, fashion shows and warehouse sales. 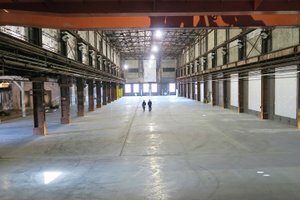 This industrial space is one of New York’s largest sound stages. 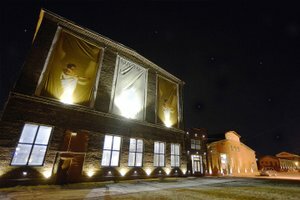 It is an impressively immense space capable of hosting a variety of event types. 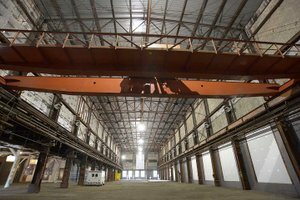 With 6 roll-up doors, a 60 ft ceiling, two rolling docks, original beams and partition walls this space has a unique and industrial atmosphere. 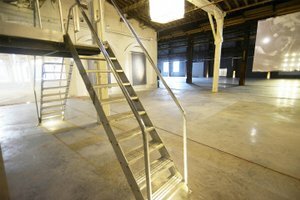 Facilities include a stock room, bathrooms and street level access. - 25,000 square foot modular space with 27 foot ceilings. - Second level VIP lounge/office also overlooks the main shooting stage with an electric glass wall for creating privacy from filming. - 4000 square feet of office space with VIP area overlooking main shooting area. - 12 acres on-sight vehicle parking . - Probuild Lumber Yard on the property. - Direct train delivery available.